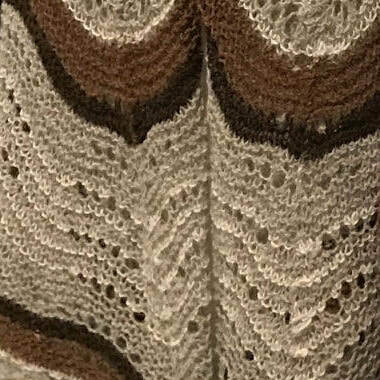 In 2019 Mavis Clark will be running 11 knitting tutorials each with a different theme. 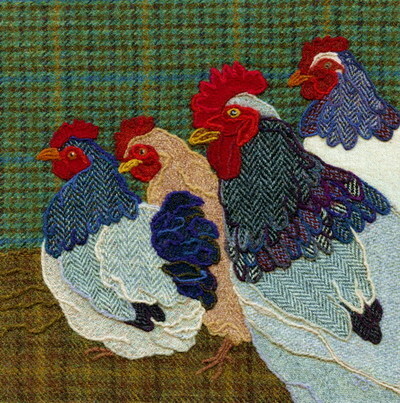 The tutorials are once a month from January to November in Wooler at a venue to be announced. The tutorials are for anyone from absolute beginners to advanced knitters and the subjects range from children's socks to Christmas decorations. 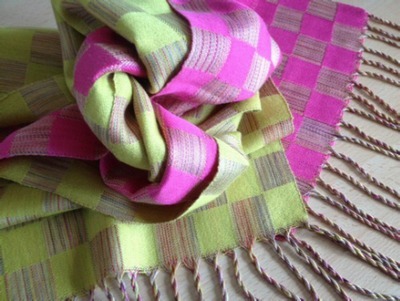 Mavis is also happy to help with any project that you need assistance with. 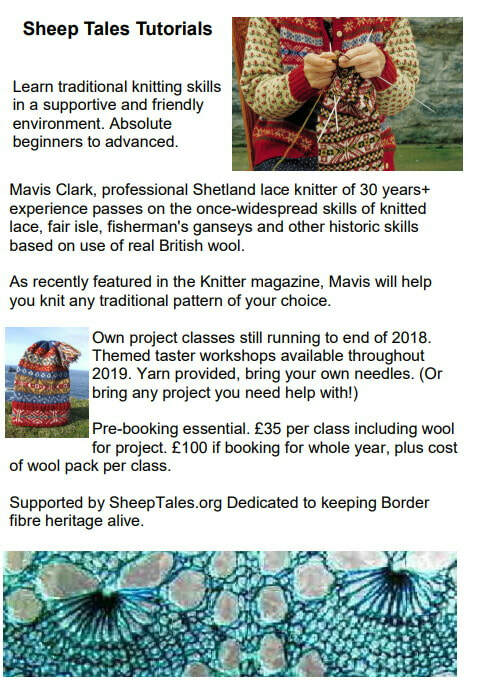 Mavis has over 30 years experience as a professional Shetland lace knitter and specialises in cobweb Shetland Lace and Fair Isle knitting. 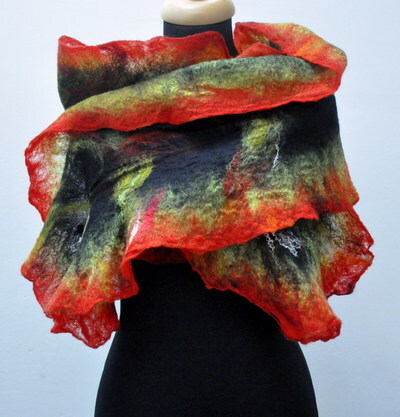 She also designs and knits Ganseys, traditional fisherman's sweaters. You are free to attend one, several or all of the tutorials. Yarn is provided, please bring your own needles. 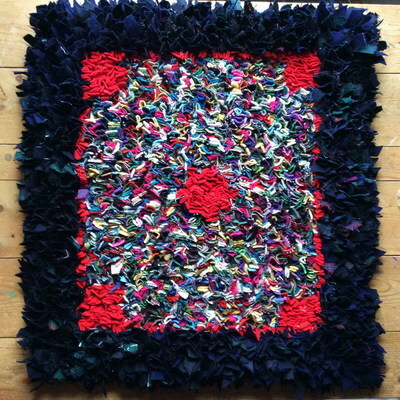 Cost is £35 per class including wool for the project or £100 if booking for the whole year, plus cost of wool pack per class. 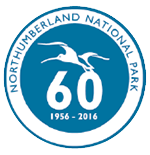 Numbers are limited so advanced booking is essential. 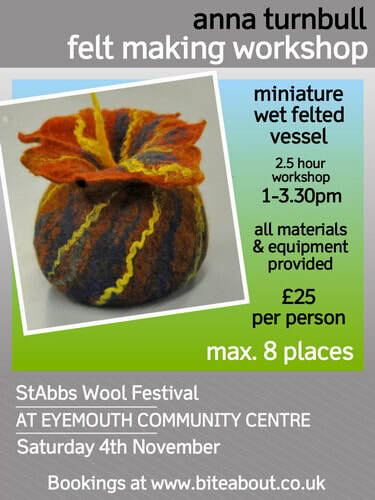 To book contact Mavis Clark on 01668 281884 or .email mavisclark@talktalk.net. 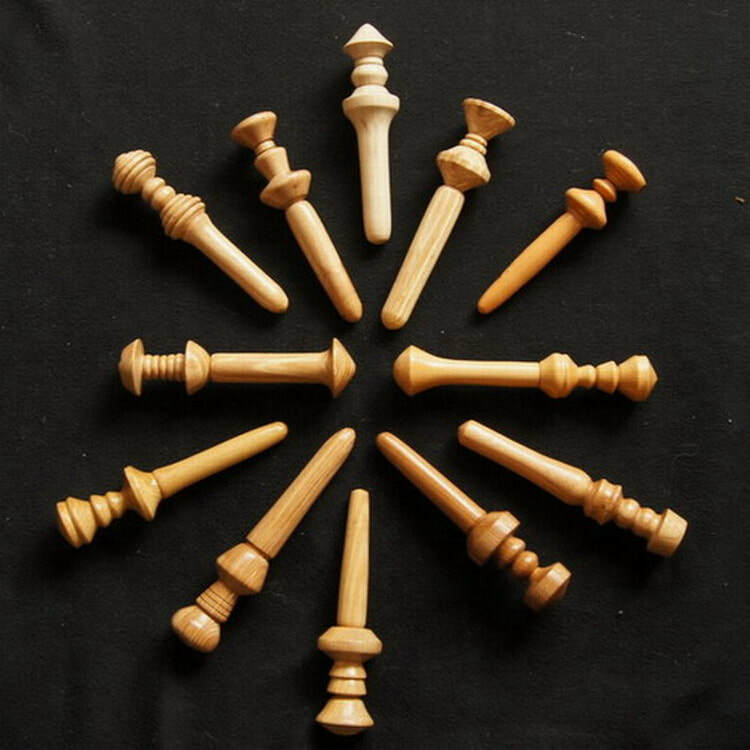 Tutorials run from 10am until 3.30pm. 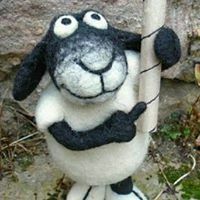 Sheep Tales will be taking over Hindmarsh Hall in the beautiful seaside village of Alnmouth on September 1st from 10 am till 4 pm. 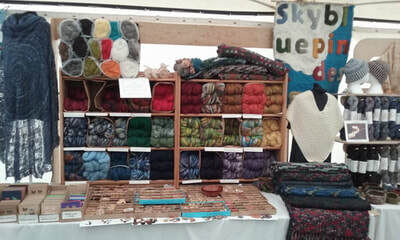 As usual we'll have lots of woolly goodies for sale and craft demonstrations upstairs. 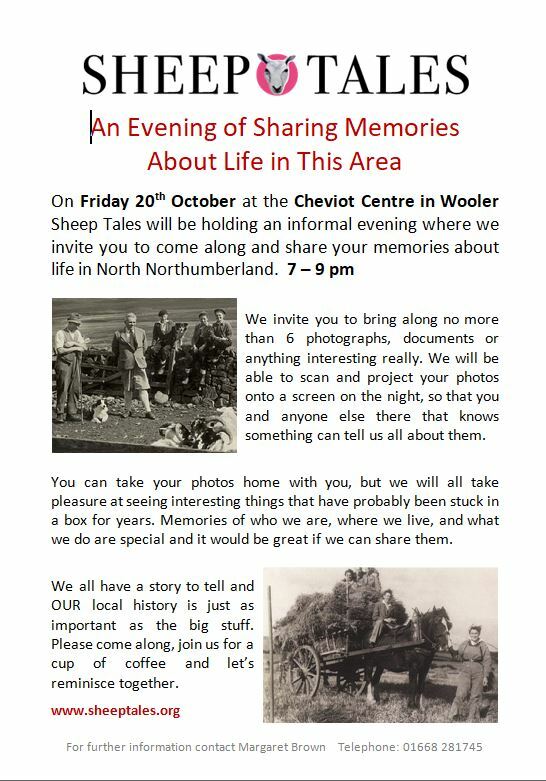 The Sheep Tales shepherding heritage exhibition and refreshments will be available downstairs throughout the day. 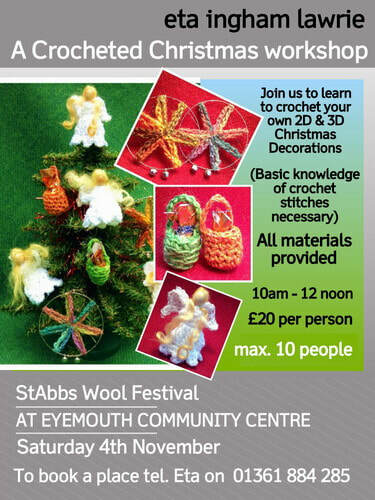 This is always a very popular event, we hope you can make it and we look forward to seeing you. 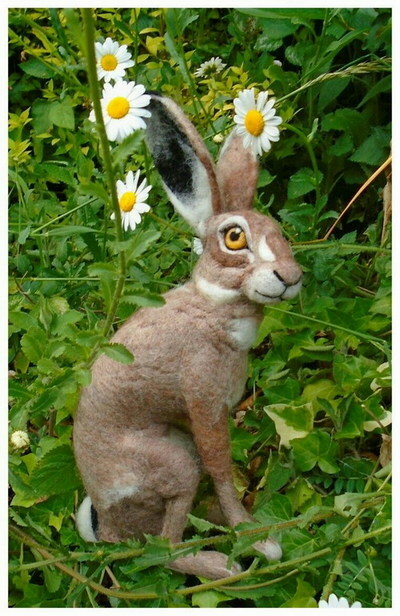 Eta Ingham Lawrie will be selling her beautiful knitted & crocheted garments, accessories, dolls and weaving kits. Eta mainly works with sheep's wool, which she hand dyes in an amazing range of colours, using both mineral and plant dyes. ​Janis Embleton of Flight Weaving will be selling her gorgeous hand woven items and demonstrating hand weaving. 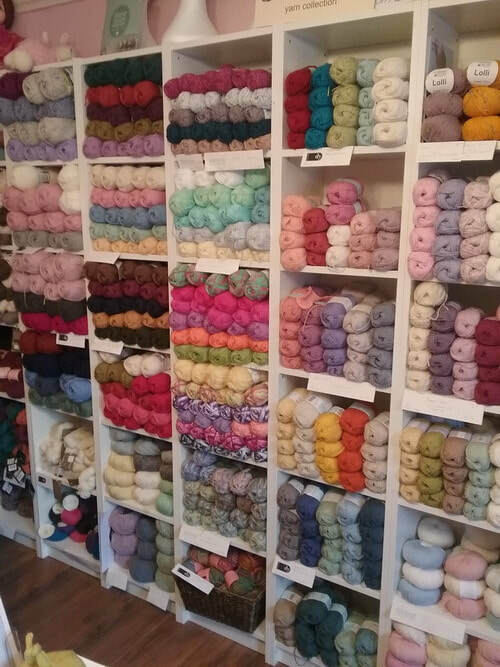 Fine Fettle Fibres from Gallery 45 in Felton will be selling a range of natural fibre yarns, knitting needles, patterns and notions. Jennie Howes of Skybluepink Designs will be selling her hand spun yarns & supercoil necklaces, spinning & felting fibres, knitting & crochet patterns & kits, buttons, handmade garments, accessories & homeware. 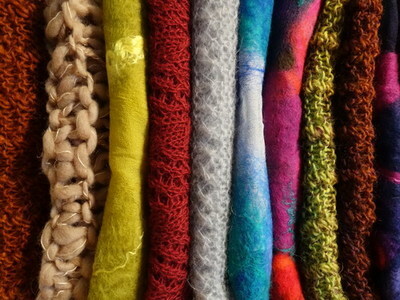 Laura Brittain is a felter and she makes colourful bags, cushions, rugs and tiny little baby bootees. She also sells the most beautifully scented moisturising bars, made by her husband. 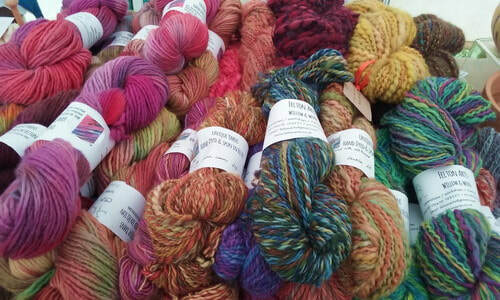 Rainbow Yarns a lovely little local yarn shop in Rothbury will be selling a wide range of yarns, patterns and needles. 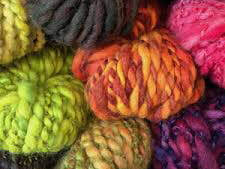 The North Northumberland Spinners will be demonstrating how to spin wool yarn from fleece. 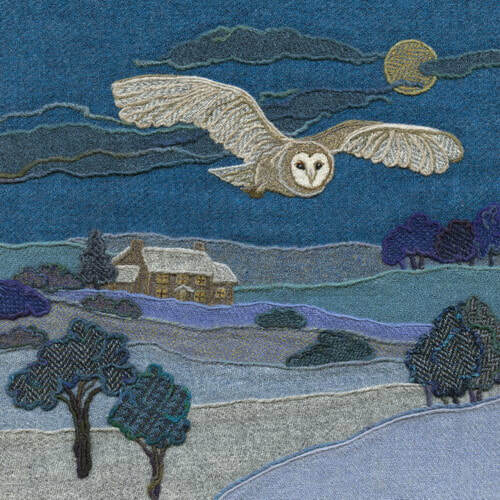 Jane Jackson of Bright Seed Textiles will be selling her needle felted Harris Tweed "paintings" and a large range of prints and cards taken from her work featuring local landscapes, landmarks and wildlife. 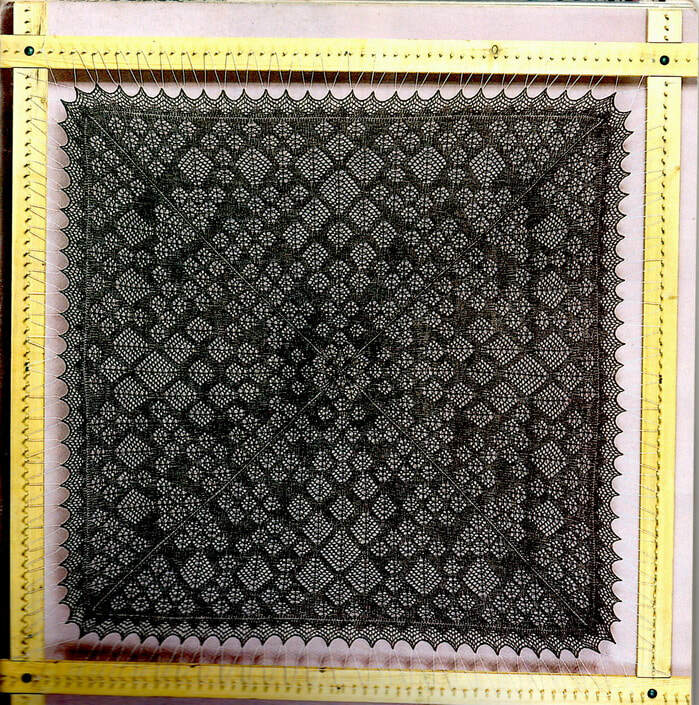 Elaine King is a felter, knitter and crocheter. 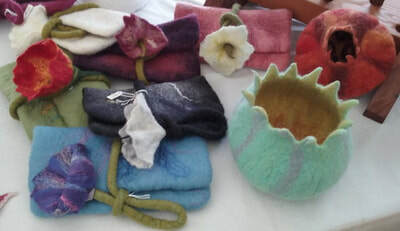 She makes the most exquisite and delicate hand crocheted jewellery, along with felted scarves, bags and a new range of hand made greetings cards. Sue Shaw of Ewetreecraft is a needle felter who could best be described as a sculpter in wool. Sue makes amazingly detailed and often quirky creations from wool, including animals, old master portrait figures, scenes and food. 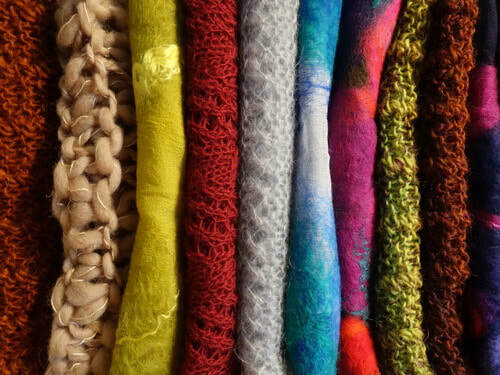 Mavis Clark will be running a series of advanced knitting workshops throughout 2018 on the last Saturday of the month (except December). 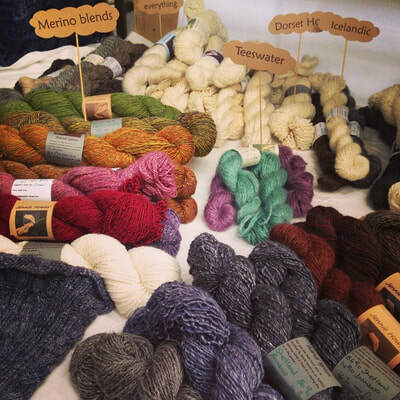 These workshops are designed to help experienced knitters who wish to learn the advanced knitting skills of Shetland cobweb lace, 2-ply lace, Fair Isle, Ganseys (traditional fisherman’s sweaters) and other forms of traditional knitting. 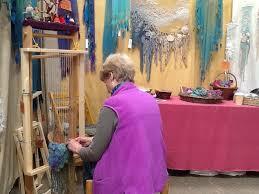 Mavis is a member of the Knitting and Crochet Guild and has 27 years experience as a tutor. 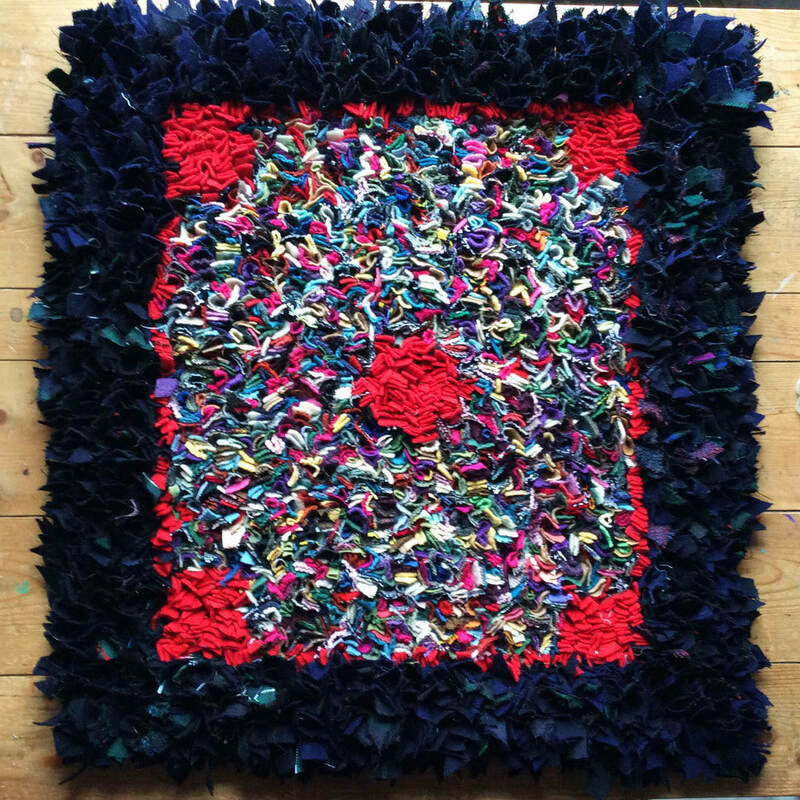 Mavis will guide you through your own projects at these monthly one day workshops and you are free to attend one, several, or all of the workshops. You will be required to bring your own materials and tools. 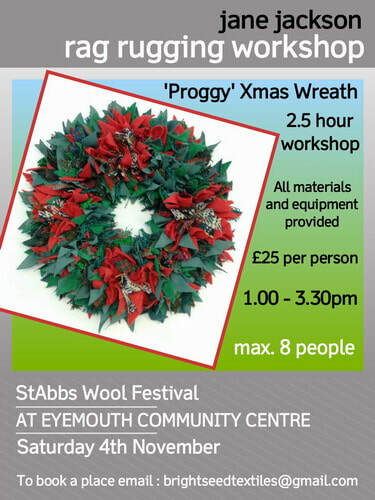 All workshops will be held at the Cheviot Centre in Wooler and cost £20 per person for 1 workshop or £100 for all 11 workshops. 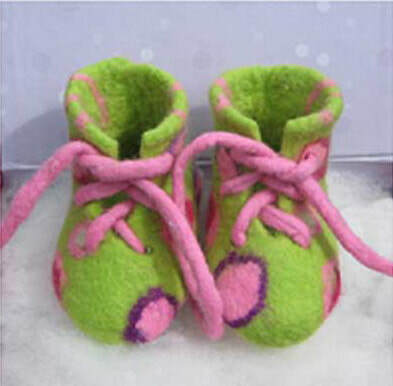 Numbers will be limited so advanced booking is essential. 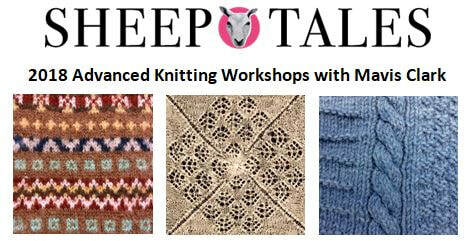 To book visit our WORKSHOP page and find out more contact Mavis Clark on 01668 281884. 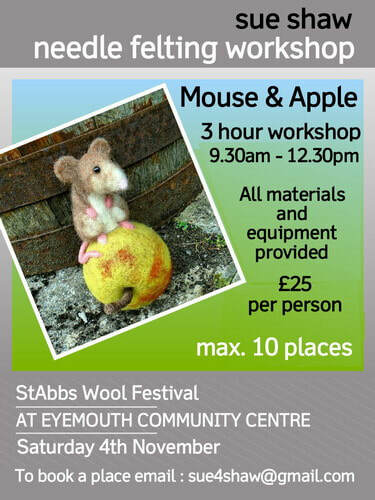 Four of our Sheep Tales makers will be running workshops at the Autumn St Abbs Wool Festival at the Eyemouth Community Centre (see map below) on Saturday 4th November. 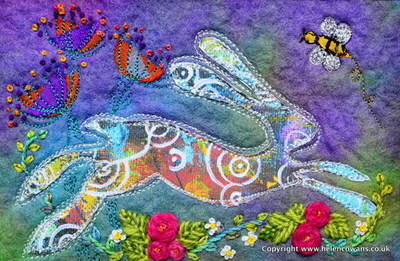 The workshops at this event are always really popular and the limited places get booked up very quickly. 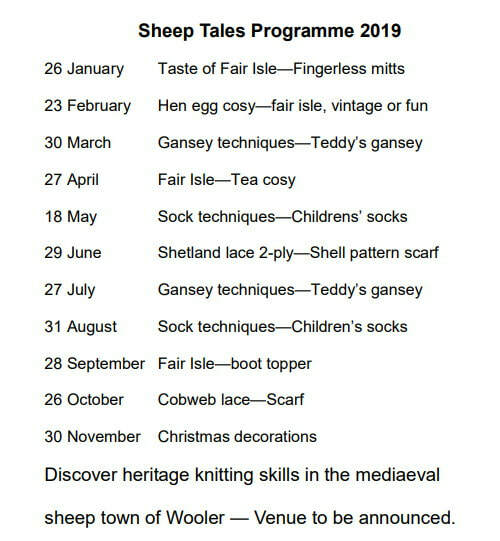 There are 15 Sheep Tales woolly artisans and makers taking part in this event, to see details and the full list visit our events page by clicking HERE. 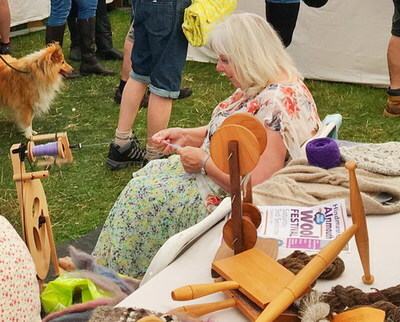 The following Sheep Tales woolly makers and artisans will be selling their wares and demonstrating their crafts in the Countryside Tent at the Glendale Show on August Bank Holiday Monday 28th from 9am. 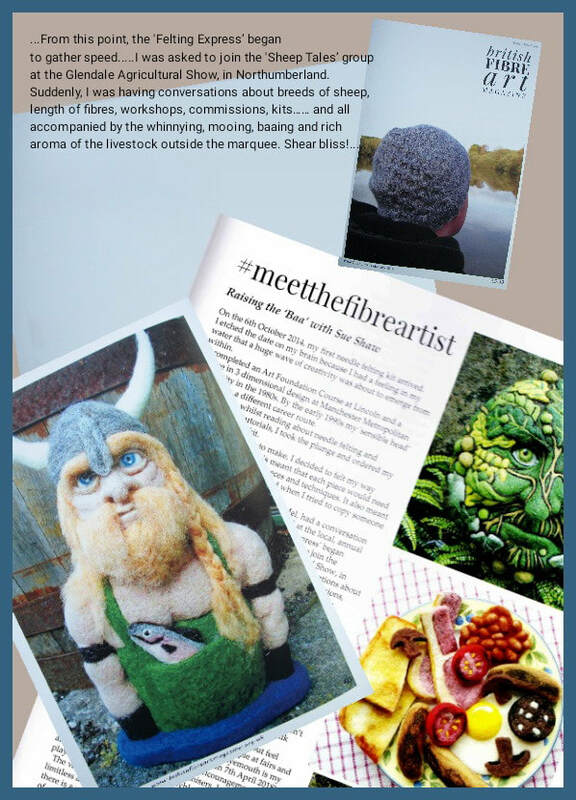 Please come and say hello. 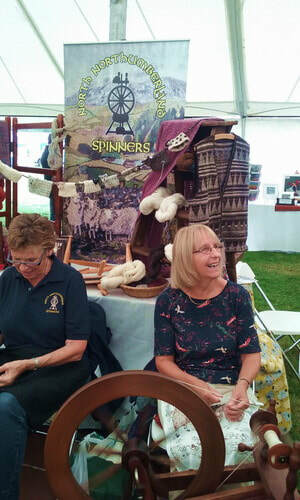 The Sheep Tales Shepherding Heritage exhibition will also be on display along with the Sheep Tales Educational Kist, which is available for loan to local schools. 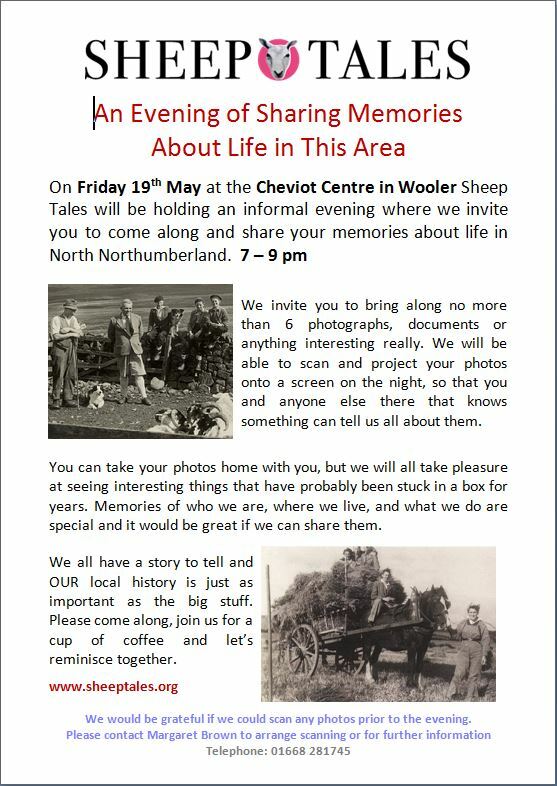 Please come along to our next Shared memories Evening.